Driver underseat storage bin polypropylene-injected 4 Gal (15L) capacity bin fits securely under the driver’s seat. 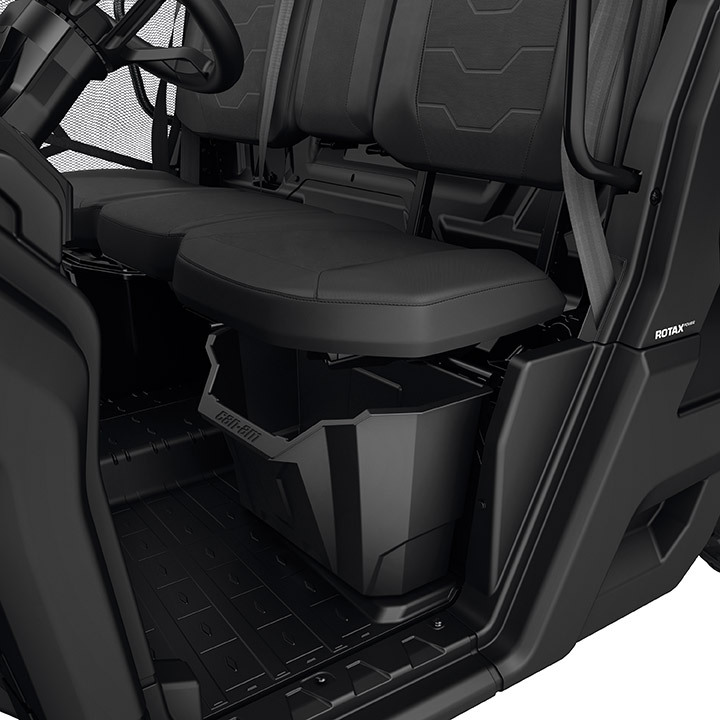 Polypropylene-injected 4 Gal (15L) capacity bin fits securely under the driver’s seat. Front opening for quick and easy access. Ideal for storing weather-resistant items, such as ropes, tow straps and winch accessories that are needed at a moment’s notice.